There is my favourite cafe in Ichijoji. It's called Cafe, but they have really nice food. 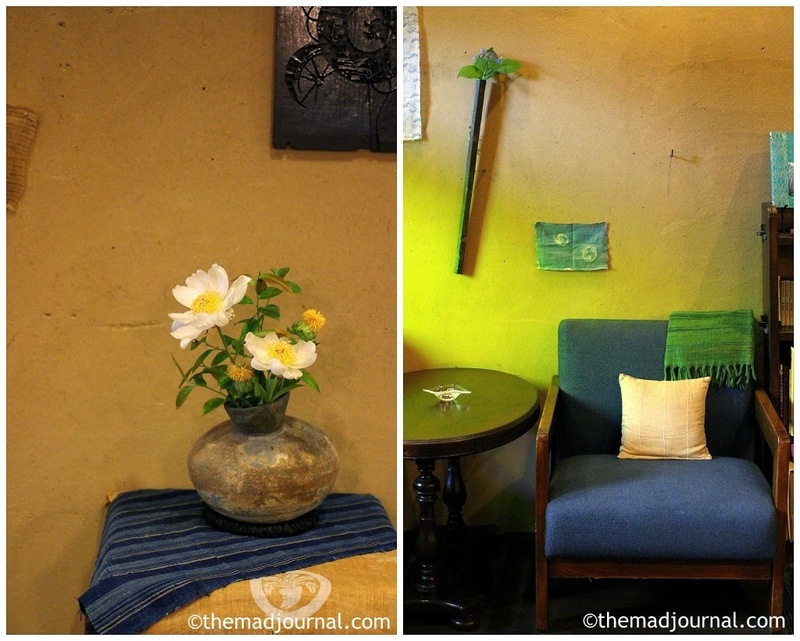 I love the interior of the cafe, it's Western style but nicely blended with Japanese style. Flowers and vases are so good taste that I would love to follow the style. Yet, it's not snobbish, it's more relaxed like you come to the house of your close relatives. The reason why I love this place so much is not only the atmosphere but also FOOD! They have regular menu, but they use seasonal food, so their menu changes everyday. In lunch time, you only have 3 choices, but everything is delicious!! Since I tasted it when I was a student, I can't forget about it. I went there for Omrice, but I didn't know it was the evening menu. It was a shame that I couldn't eat their Omrice, but this lunch menu was so good too. I must come back with my partner and will definitely have Omrice next time! They have alcohol too, I would rather to go there in the evening to enjoy delicious food with good sake.